Since I am at home sick today, I thought I'd read the dictionary. Now that most of us get our information online these days, I thought it would be pertinent to remind myself what REAL research is about. 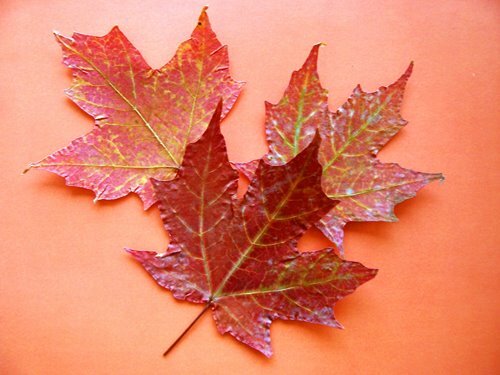 All of those high-minded ideals went out the window, however, when a flurry of pressed leaves collected last fall, sandwiched between the pages and a few well-trimmed pieces of paper towel, came flooding out into my lap. I had gathered them last year during a trip to Quebec City, stuck them in the dictionary on my return and just completely forgot about them. I got giddy when I realized I had a stack of new white frames that I had recently purchased (with not much idea as to what I'd use them for) and the little craft project that followed could not be stopped once the inspiration took over. 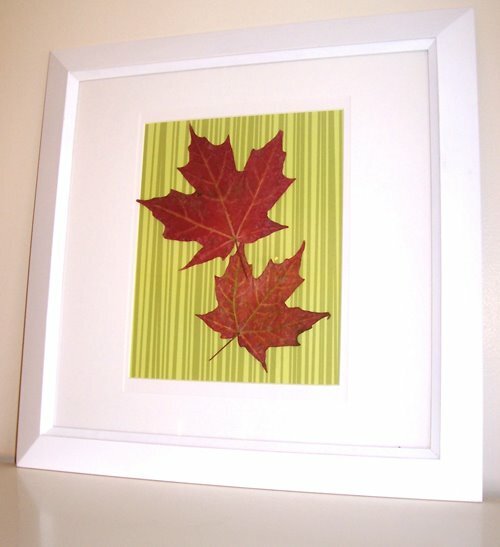 I decided to frame a pair of the leaves, which were perfectly flat and completely free of moisture, one year after their first pressing. It's ideal to press them in a flower press, not books, since the pages of the book could potentially warp from the moisture or stain. But I made sure to layer them well with paper towel and there were no casualties. I whipped out the craft paper (I have three large 'books' of various designs) and started planning. 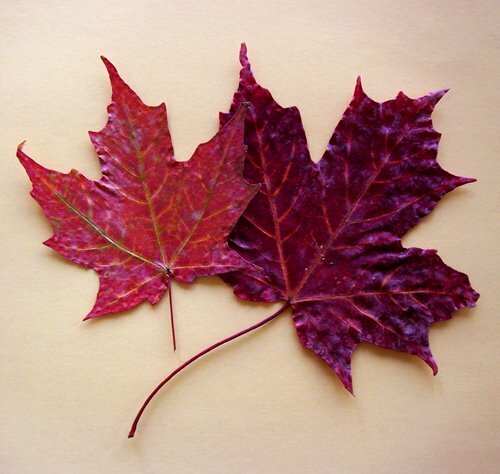 I tried the leaves, which are all of reddish hue, on various types of paper: calming neutrals and warm oranges, even some outlandish patterns like green with brown polka-dots. I finally settled on a chartreuse-toned paper with a faux-bois pattern. It's modern and goes well with my decor. Green and red are also complementary colours and the crimson leaves stand out nicely against the green, which I really liked. 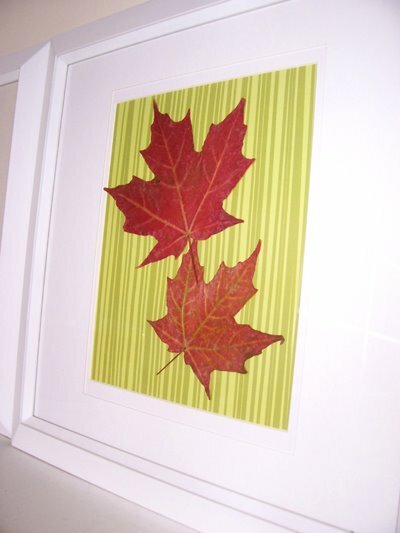 I picked my two favourite leaves from the bunch I had, laid them out first to make a nice arrangement and then glued them with craft glue to the paper. I have three other white frames and I'm not sure whether I'll make a gallery of leaves or just do the one frame. I'm also not sure where to put it yet, but I have a few ideas. The nice thing about these kinds of projects is that they're easy to do, inexpensive, and can be as temporary as you want them to be: a few days, a month, a year, or several years. I should really get sick more often. this happens to me sometimes too! 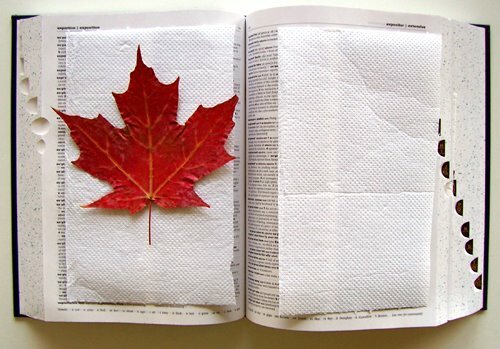 then, i wonder when I put the leaves in that particular book and where they are from. your sick-day craft project looks great! get well soon! Thank you, Will! Sometimes in the heat of a fever, inspiration just takes over. Andrew, That's so nice.I have moments like that.You put something somewhere and your mind just forgets.Then when you find it its such a pleasant surprise.When I was 14 I planted oriental poppies and it took 3 years to bloom.I pressed the nicest petals in the pages of one of those readers digest handyman books.I found it 2 summers later.It was such a neat thing that I took the time to save them.Not that its much time the book does all the work.But its sort of old fashioned.But NOTHING is better than finding 20 bucks in the pocket of pants you haven't worn in a while..
OMG gorgeous! I totally want to make these. @ Joseph: So true about the lost funds in the back pocket! @ Maris: Do it! Do it!